Start SIP online – What is a Systematic Investment Plan? SIP stands for Systematic Investment Plan, which enables you to invest a fixed amount in mutual funds every month (you can opt for quarterly or weekly). A SIP is a planned approach towards investments, and the investor learns a valuable habit of saving regularly to create wealth in the long term. A SIP is easy to set up, an ECS is set up from investor’s bank account and funds are used to buy a specific mutual fund scheme. Investors buy units for a fixed amount at prevailing NAV of that date. The units bought are added to investor’s portfolio every month, gradually building wealth over a period of time. A SIP gives you the benefit of buying more units when the market is down and lets you buy fewer units when the market is high, thereby giving you the benefit of rupee cost averaging. This lowers your buying price and helps you deal with volatility and you don’t need to time the market. “Compound interest is the eighth wonder of the world. He who understands it, earns it… he who doesn’t… pays it.” – Albert Einstein. For compounding to work well you need time, thereby the earlier you start SIP, the more wealth you will create for yourself. Discipline is the key to successful investing. SIP inculcates it helping you achieve your goals by investing a fixed amount regularly. Ideally as an investor, you should continue your SIP to create long term wealth, however you have the option to stop your SIP anytime. You can also increase the SIP amount in future, if you have additional requirements. Over a long period of time SIP’s give excellent returns from equity investing and have the potential to generate very good returns over a long investment horizon due to rupee cost averaging and compounding. SIP’s can be easily set up online or through paperwork. Once set up, SIP’s automatically invest your funds every month. 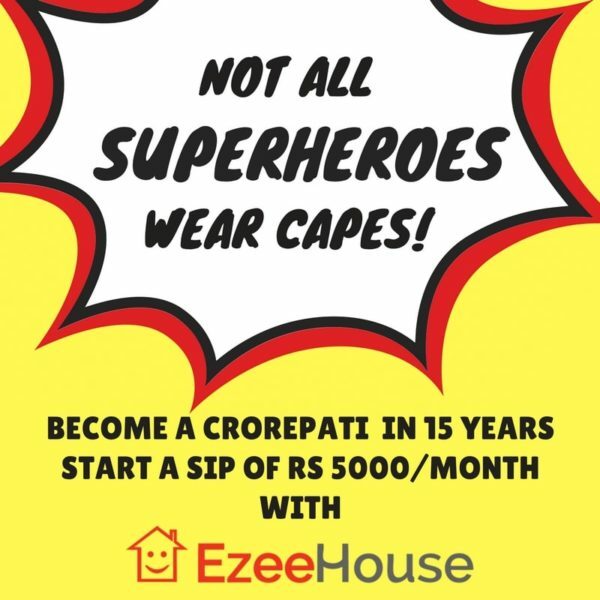 Start SIP online by downloading the Ezeehouse App from Google Play Store.